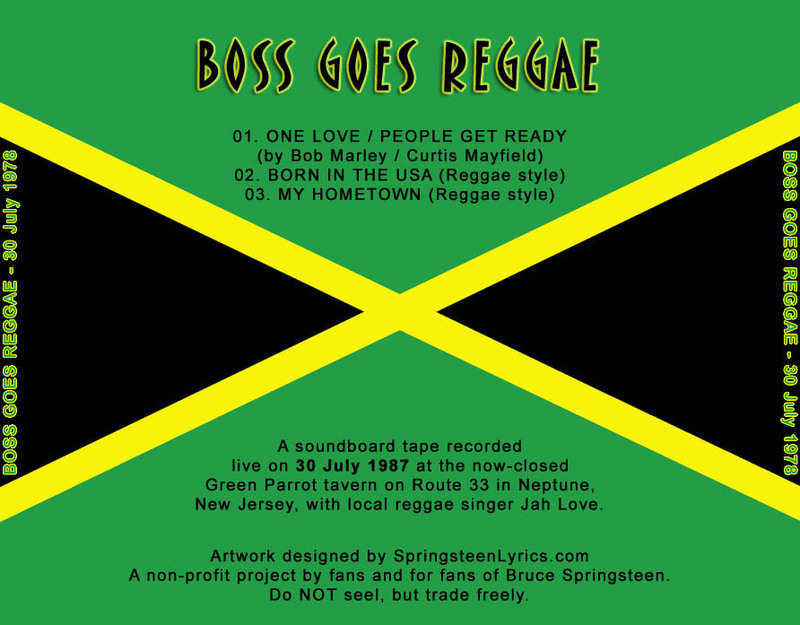 While working on 'Tunnel of Love,' Bruce joined Jah Love for a handful of impromptu performances in 1987 in the green Parrot with Jah Love & The Survivors . "One Love/People Get Ready" is a reggae/rhythm and blues song by Bob Marley & The Wailers from their 1977 album Exodus. It was first recorded in a ska style by Marley's original group, The Wailers in 1965 and was released as a single. This version was later included on their first singles compilation The Wailing Wailers in 1966. Bruce and the band were headlining a show and The Wailers (lineup including Bob Marley and Peter Tosh) were opening.